Quality teachers in a convenient location! Come visit our studio at 9785 Ravenna Rd. Suite 4 on Twinsburg Square. Schedule a free introductory lesson or purchase music and instrument supplies. Our teachers are experienced in teaching students of all ages. 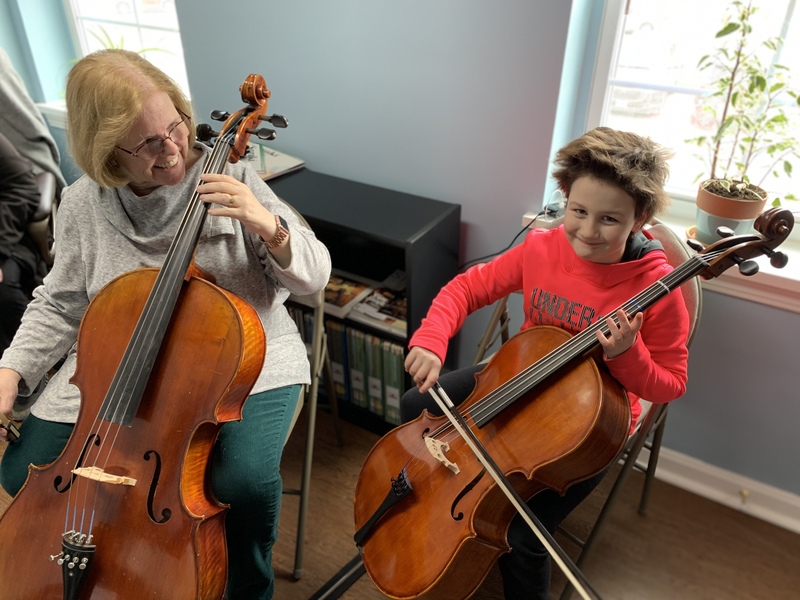 Private lessons allow students the opportunity to improve their technique, gain a better understanding of the language of music, and explore solo repertory. Students also have the opportunity to review their orchestral music in a one on one setting. Beginning lessons usually last for 30 minutes and are scheduled at the same time each week. As students advance, lessons can be 45 or 60 minutes in length to allow enough time for the music assigned. Sign up for lessons here.